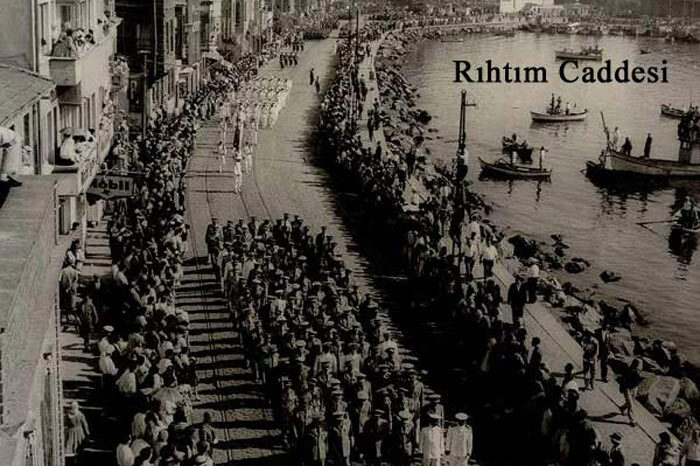 Since the very early ages Kadıköy has a great position both spectacle and entertainment. 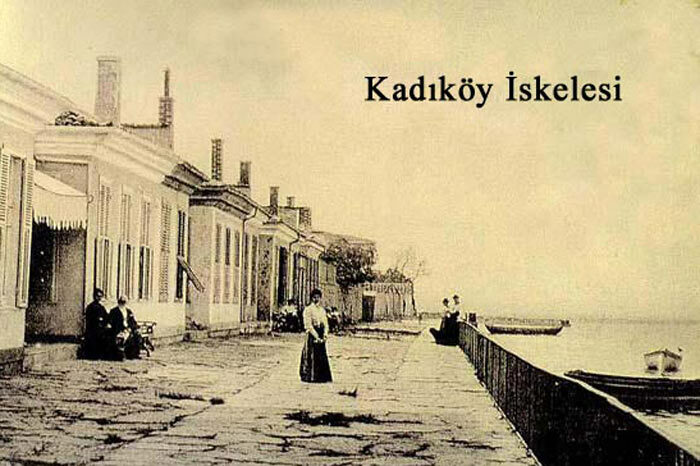 The establishment date is accepted as B.C.675 The phenicions named Kadıköy as Kalkedon. In the following years, Turks have conquered İstanbul. 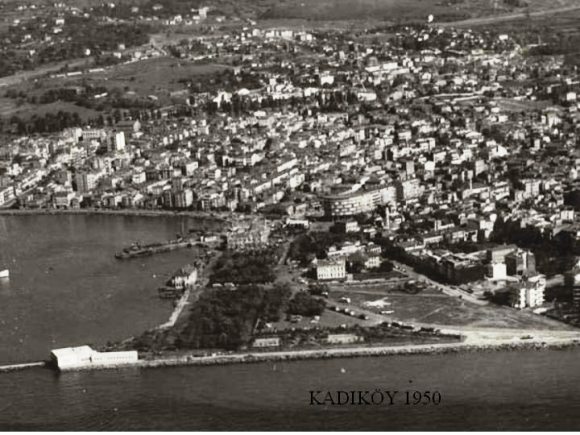 Kadıköy was given to Hıdır Bey who was the first Ottoman judge (Kadı) of Fatih Sultan Mehmet for İstanbul as an arpahk ( Revenues allocated to high level state officials in addition to their wages in Office and after leaving Office; as a type of retirement pension). 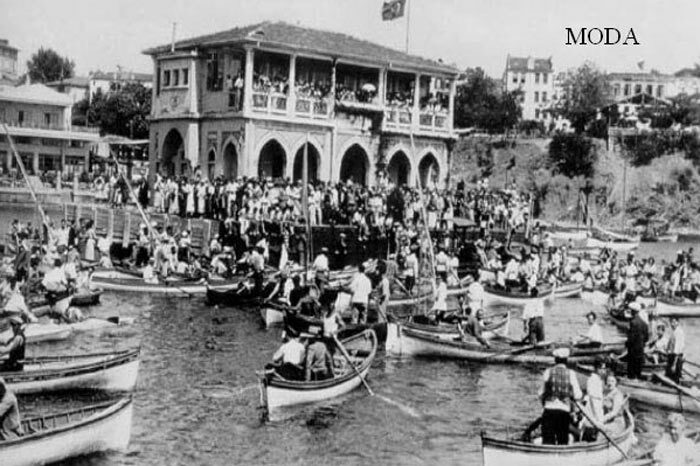 Being a setting area for various cultures Kadıköy’s historicol riches are a mirror to its cultural tissue. The places from early ages nokes a gret potential for tourism. 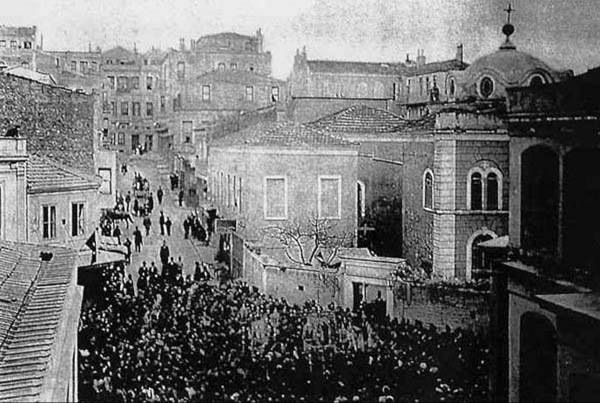 Kadıköy has been a cultural norbling in all times. With its graceful minarets that rise to the sky, the fountains, tombs, churches, turkish baths, pavilions, historical buildings, guays, monuments and parks it has been an important base for tourism. Kadıköy is a great inheritance with its ancient history and cultural structure. Today it has the same importance and property. What makes Kadıköy Kadıköy is its location. 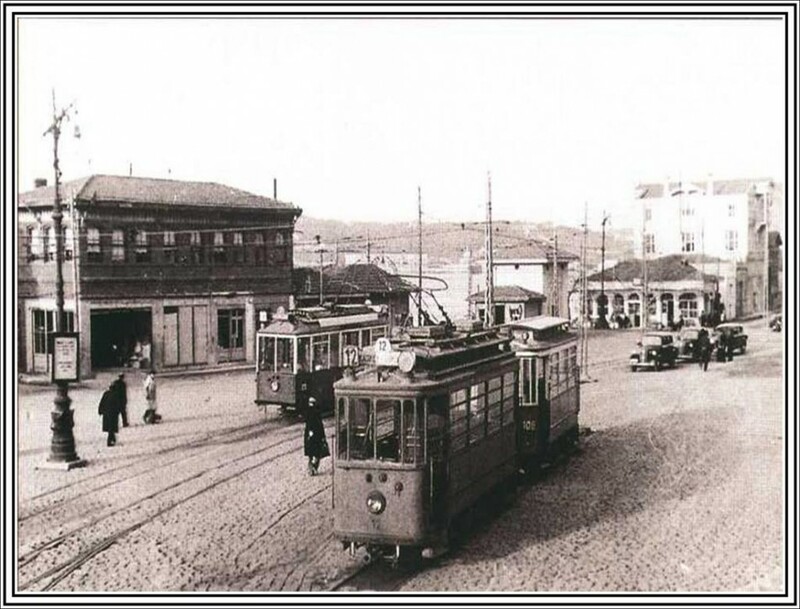 The town which is a doorway to the Bosporus has modern transportation facilities with railway and highway network. 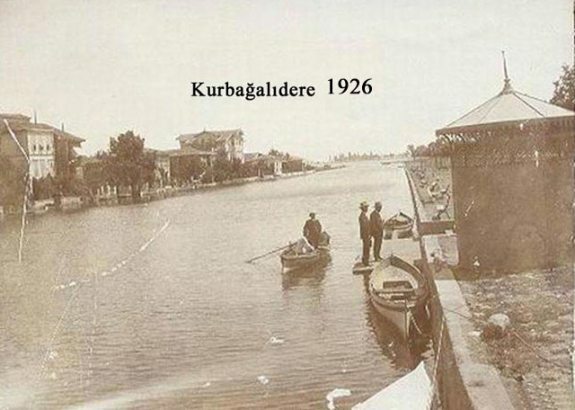 Kadıköy is famous with its historical quays. 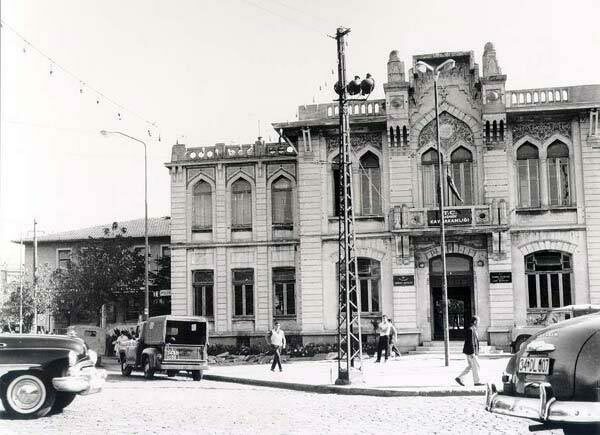 Railway station ( Cnor ) building, with early Turkish architecture specially loceted on sea front, is the symbol for the district ferry pier at the same location, is built by Turkish architect Vedat Tekin 1917. Trles are Kütahya porcelain Haydarpaşa railstation has an important role in Turkish popular culture with its colorful, dyaomic, lively atmosphere. The Kadıköy shares, besides being (Kalamış-Fenerbahçe) with Fahri KORUTÜRK yacht port it has been an important center of yacht tourism. 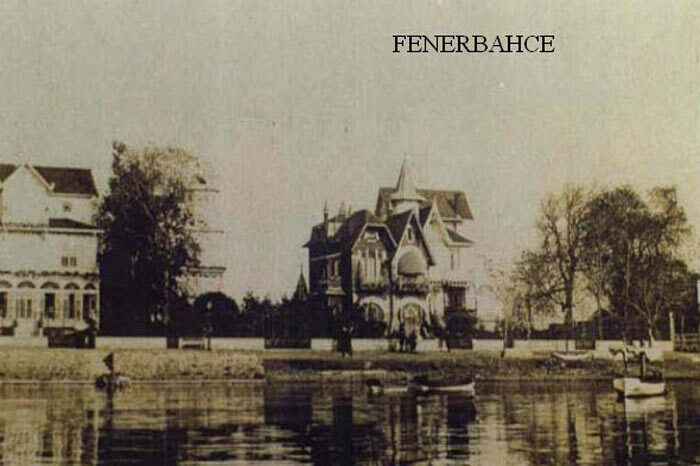 With the unigue and notural elengance,Moda Cape,Kalamış,Fenerbahçe inlets are the most important arcas of tourism activity in Kadıköy As the recrestional center of the district, Fenerbahçe peninsulo isa unigue treasure for Kadıköy. Great poet of İstanbul Yahya Kemal BEYATLI describes the peninsule as “Most beloved and rambled ploce in homeland”. The Fenerbahçe peninsula gives a great colour harmony with its sweet by ways, monument trees, colorful olenanders and seasonol flowers. The Judas trees that spread in spring add different beauties to the peninsula. The seas and the islands that lay across are the views peculiar to Kadıköy. gardens are preserved as “memorial trees”in public. Rising in Kadıköy skies with a bolloon watching city of seven hills, İstanbul surrounded by poetry with the sea Bosporus and minarets is very exciting. One of the most popular place in Kadıköy is its historical bazaar. 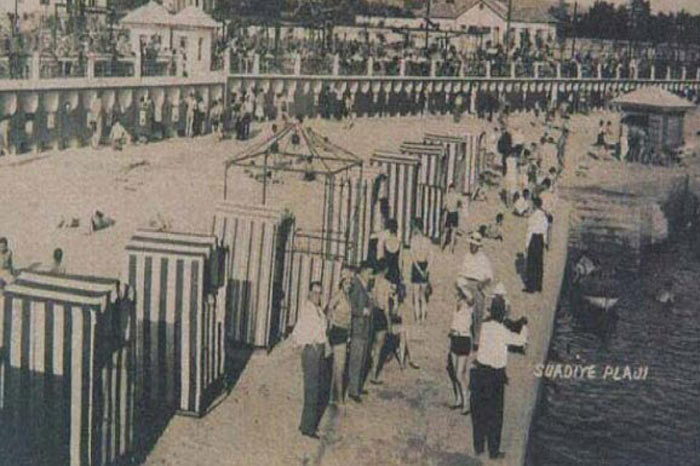 It is possible to find the footprints of old and new Kadıköy. Theaters and movie houses with historic textures are important in the aspect of cultural tourism in the samples of historic work of arts as memorial characteristics. Bagdat Avenue meeting touristic consumption demand is located as the dynamic center of commerce. With all other modern shipping malls, Kadıköy district plays important role in commercial activity. 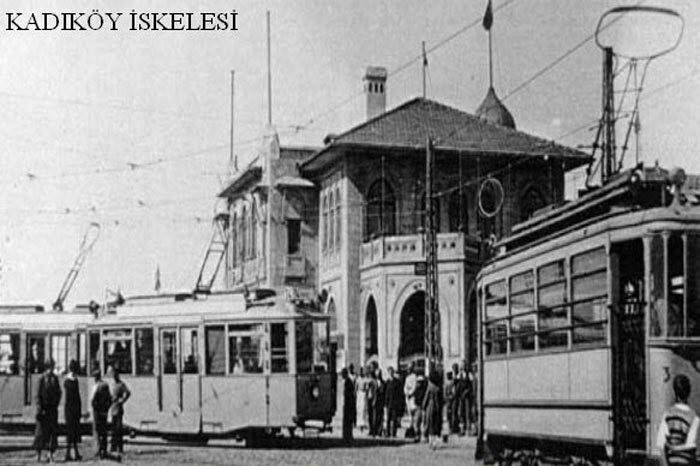 Trolley, serving on the route Kadıköy-Bahariye-Moda-Mühürdar, is the nostalgic transportation recalling old days of the district. Moda, Preserving its multi-cultural environment through the history, will keep importance with its gardens, historic schools, walkways, peaceful atmosphere and life style. Kadıköy has the potential to improve its touristic activities with its climate, unique natural elegance, historic architecture, cultural buildup, modern shopping centers and geographical setting. With its approximately one million population, Kadikoy District is ranked first among the others in Istanbul with respect to the population growth and the urban characteristics. The district covers 34 km square area of settlement. As Kadikoy district is on the shore of Marmara Sea, it has the typical characteristics of coastal cities. Altiyol is said to be the heart of the city centre. Today’s Osmanaga Mosque and Cape Moda are comprised the nucleus of the first settlement. After the first settlements had taken place on the shore of the Marmara Sea and the Bosporus strait, it then widened along the Marmara Sea from the west to the east. With the development of road transport and also because of the over migration from the rural areas, it still continues to spread between E-5 highway and Bagdat Street, especially in the vicinity of Icerenkoy, Kayisdagi and Atasehir. Having an ancient history and a rich cultural inheritance, Istanbul has distinctive aspects among the other cities. Kadikoy, being a residential and commercial district with its theatres, cinemas, business areas, educational and health institutions is ranked first as the cultural centre of Anatolia. It is the biggest centre in Asia with regard to the transportation through Harem Harbor, Haydarpasa Railway Station and Harem Bus Terminal. Fenerbahce Sports Club is the one which is up the world standart. The highest point of Kadikoy district is Kayisdagi which is also the border on the north-east. It is approximately 600 meters high. Kadikoy district which is lower in altitude on the shore of Marmara Sea, is also the west end point of Kocaeli Plateau where it is bounded by the Bosphorus strait. Our district- like Istanbul- is said to be on the seven hills which are, from west to east, Kayisdagi, Goztepe, Fikirtepe, Acibadem, Altiyol, Cevizlik and Kosuyolu. The ground between these hills and also we can add Gazhane, Talimhane, Sifa, Muhurdar is a little bit slanted. It is known that the coastal areas between Kadikoy and Bostanci are flat. Kurbagalidere which has its source in Kayisdagi and is poured to Marmara Sea is the only stream in this district. Kadikoy district has a slightly ruined Mediterranean climate which is associated with the climate of the Black Sea where it is let into north and the Bosphorus strait. In addition to this its plant cover is “lemur” however because of the population growth- except the pine forested areas in Kayisdagi-the wooden places can only be seen in the parks and also it is even hard to find a forest in this district. The economy of the city is based on the sector of maintenance. With the preceding one trading, we can say that education, health, entertainment, transportation, construction, advertising business, the big market chains and tourism are also important working areas. On the other hand, textile, printing press, souvenirs, automotive covers the industrial workspace. With the Bosphorus from the west, Kadikoy is one of the most important districts to be used to connect Europe and Asia. Its neighbours are Uskudar and Umraniye to the north, Maltepe to the south-east and Bostanci to the east. As it has a shore through Bosphorus which extends on the Europe and Asia, Kadikoy has the most important aspects rather then any other districts in Istanbul. Except having an airport, Kadikoy is an attractive district with its various facilities like transport, cinemas, theatres, art galleries, sports clubs and important universities. Kadikoy; Coordinates: 41°07′ 00″ K, 29°54′00″ D Altitude: 120 m, Area: 25,20 km2, TÜİK Population 451.453.